Channel Four's flag ship quiz show is appointment television for millions of viewers, young and old. Addictive info-tainment at its best, Countdown blends the skills of wordsmiths and number crunchers to create a winning formula that remains unmissable twenty years after it was first broadcast on Channel Four. To become a Countdown Champion you need a broad vocabulary, eagle eyes, lightening quick mental arithmetic and the ability to come up with the goods under pressure. The Countdown Book of Puzzles and Games is the first publication to help you improve your Countdown skills. Packed full of crosswords, word searches and number puzzles, this book will help you increase your vocabulary, improve your observation skills and sharpen your mental arithmetic. 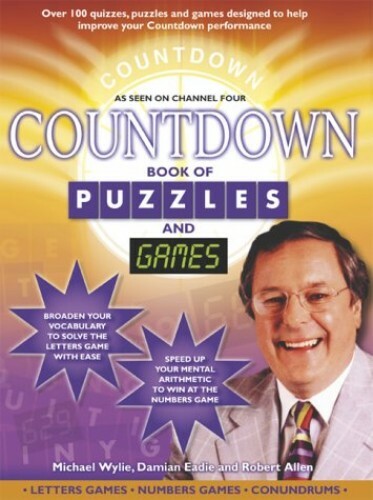 Drawing on all the elements of Countdown, from letters and numbers games to puzzles based on the revelations of Dictionary Corner this is the perfect companion to the Channel Four show that will help you rise to the Countdown Challenge.